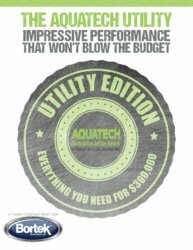 When they designed the Aquatech Utility Edition, the idea was to create a combination sewer cleaner that provides a powerful, functional and weight conscious unit at an affordable price. 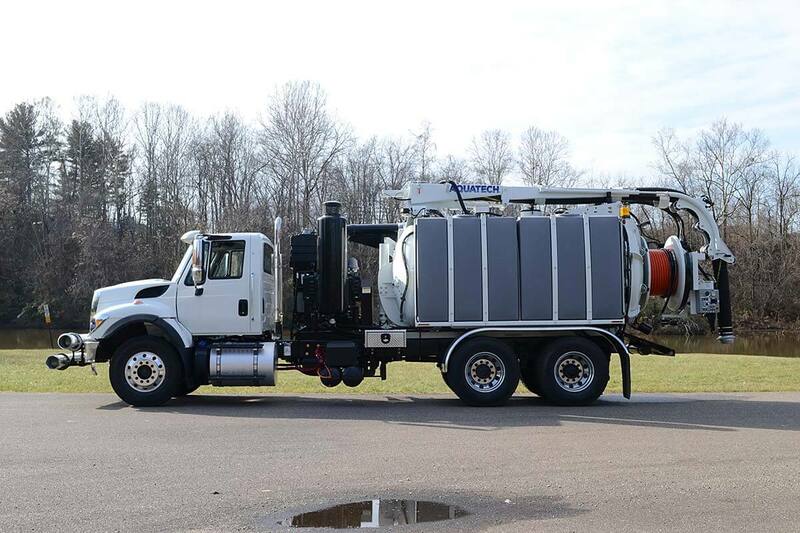 The Utility Edition offers a 10 cubic yard debris tank, an 1100-gallon fresh water tank and an 80 GPM water pump. Equipped with a 3700 CFM 18″ Hg positive displacement blower, the Utility Edition can tackle just about any vacuum application that you throw at it. 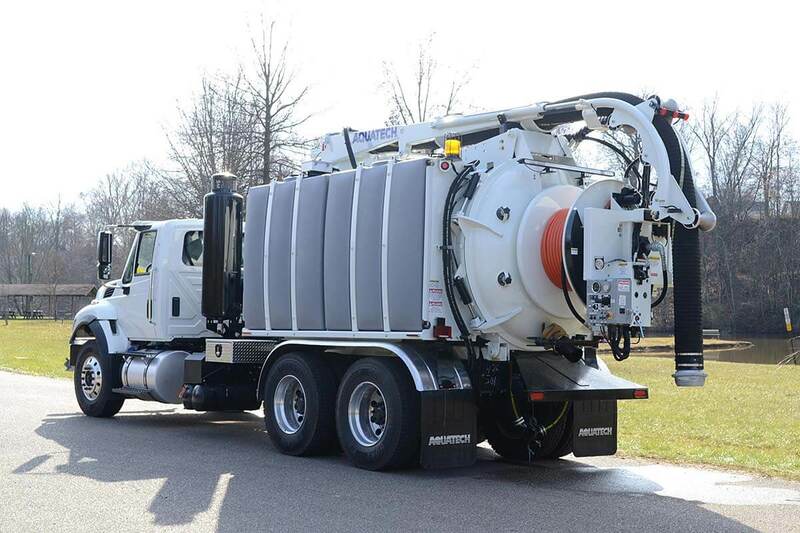 Mounted on a maneuverable and tandem axle chassis, the Utility Edition can carry a large payload. 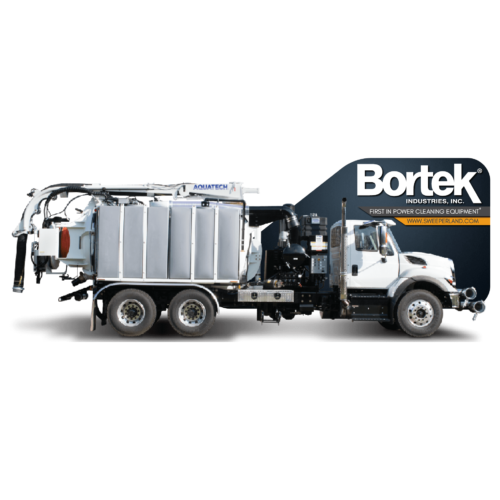 The Aquatech Utility Edition is equipped with a rear hose reel that offers a 180-degree hydraulic articulation providing over 12 feet of reel reach and a virtually unlimited number of work stations. The top loading vacuum boom provides 360-degree rotation for even payload distribution as well as an operator set-up this is both fast and easy. 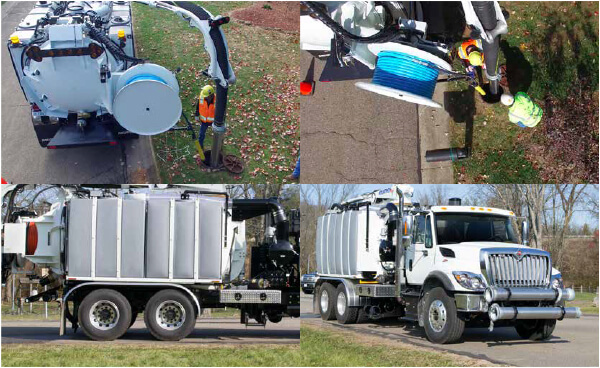 Like all Aquatech combination sewer cleaners, the Utility Edition creates the quietest work station of any sewer cleaner in the industry. 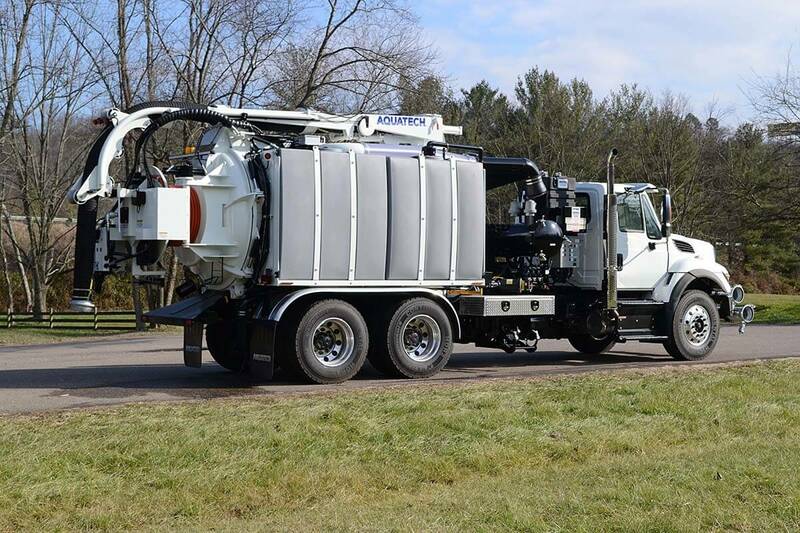 The Aquatech Utility Edition also maximizes efficiency because it is fast and easy to set up, its top loading capacity decreases boom wear, and it offers accessibility to working off the curb.